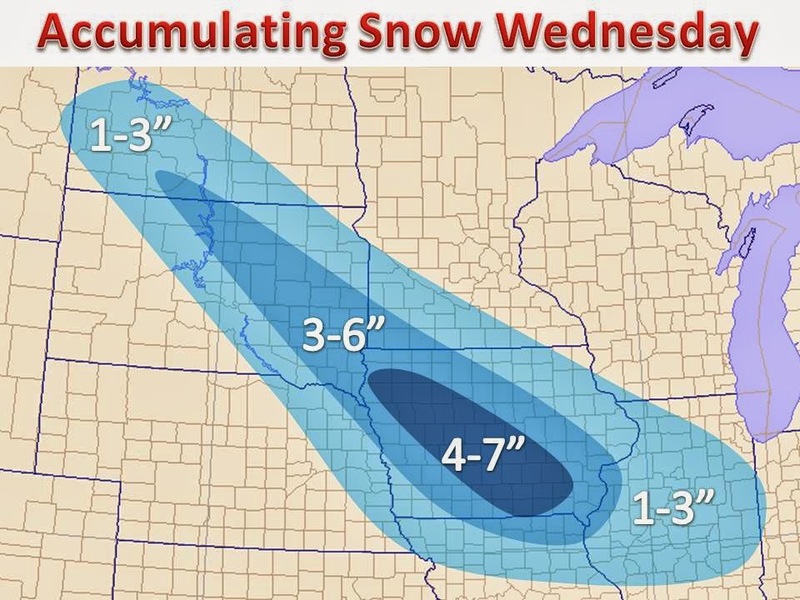 A quick hitting, fluffy snow event will take place tomorrow, with Iowa in the bulls eye. The snow will be accompanied by an Alberta Clipper that is forming in southwestern Canada at this moment. Snow will begin to break out along a frontal boundary tonight in the Dakotas and develop rapidly, with a band of heavier snow through central South Dakota to Iowa, before weakening in the moisture stricken area near Illinois. Winter weather advisories and warnings have already been issued in anticipation. The weekend storm is looking less and less impressive.